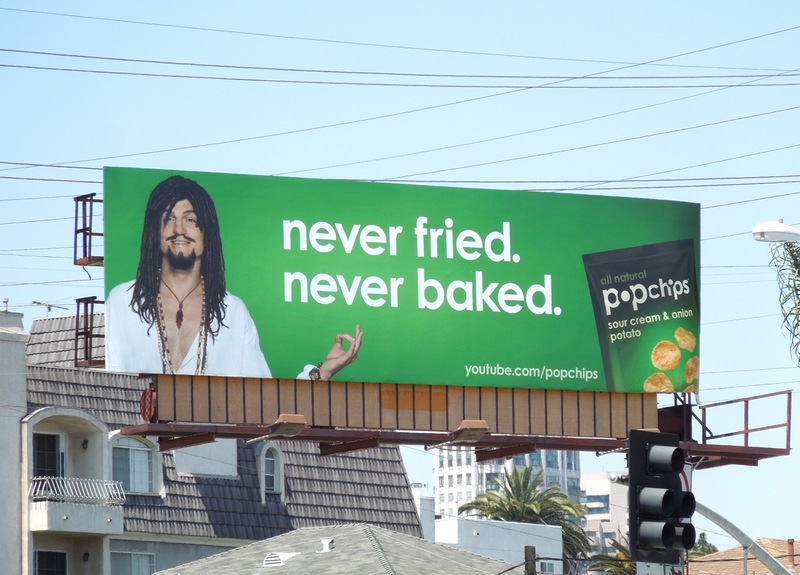 A hippie stoner, a diva, a biker and even an indian character, there's no end to Ashton Kutcher's talents it appears in this new campaign for Popchips. 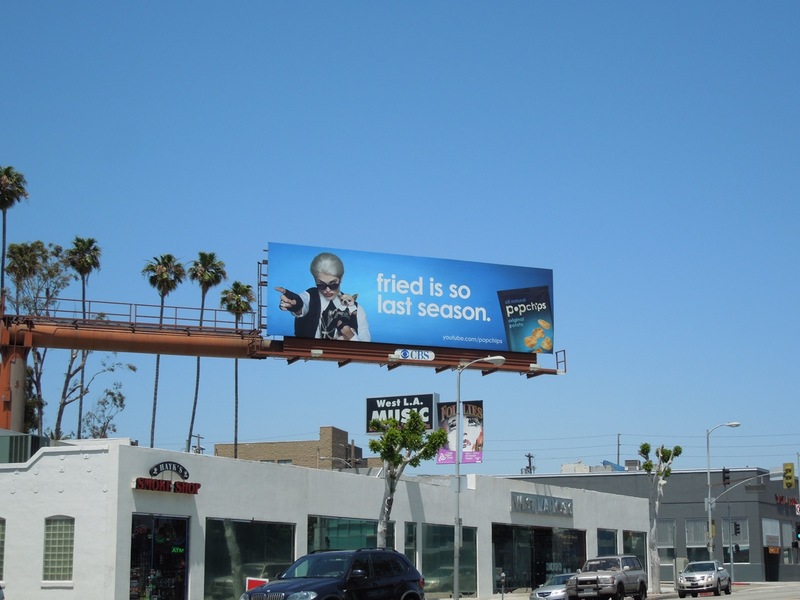 Or is there? 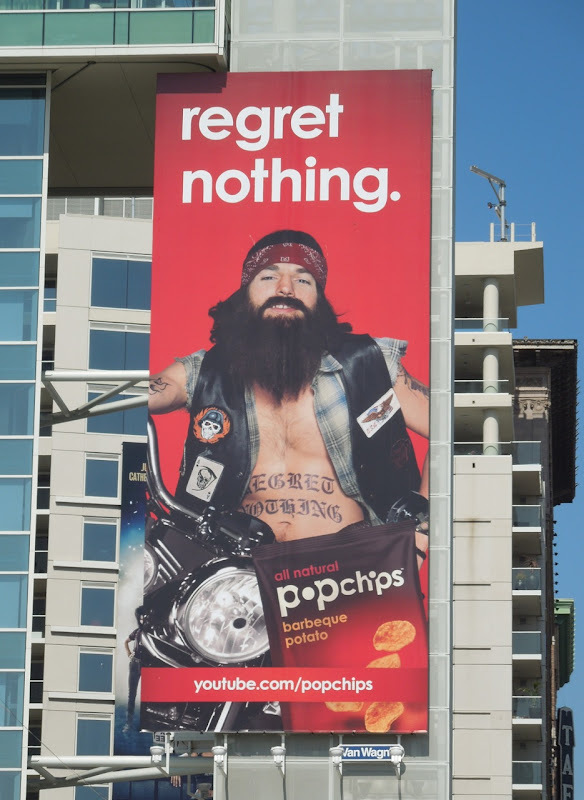 You'll notice from this selection of Popchips billboards the absence of Ashton's brown faced Indian 'Raj', whose character was apparently withdrawn due to allegations of the character being racist. 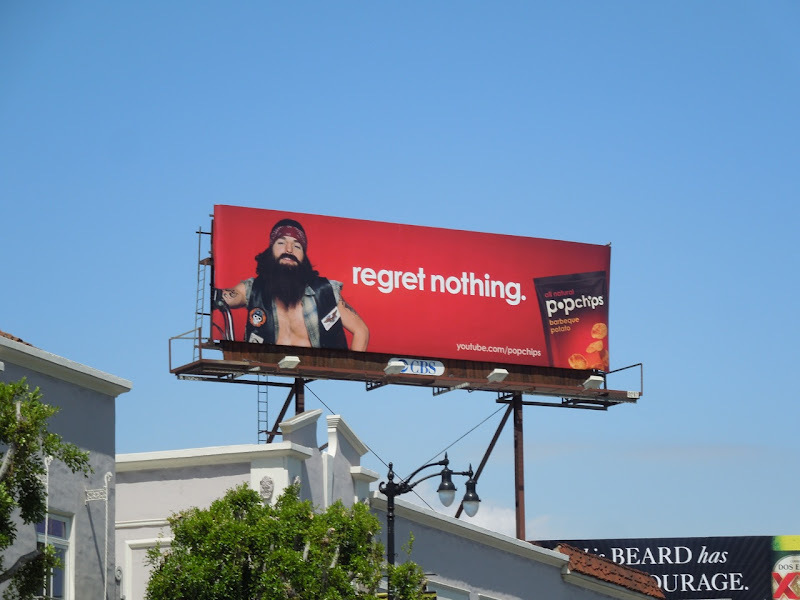 So maybe 'Regret nothing' isn't the best tagline for this billboard. 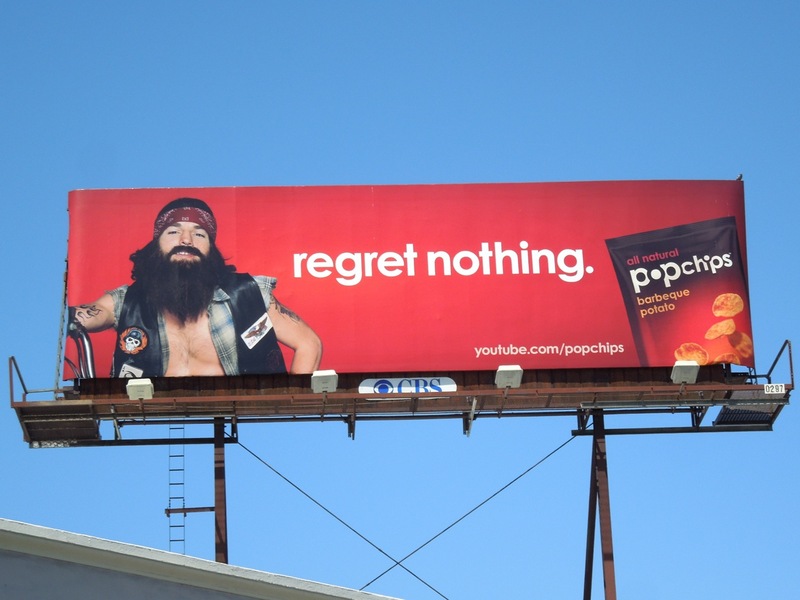 But was this a PR disaster or PR triumph, after all, any publicity is good publicity, right? 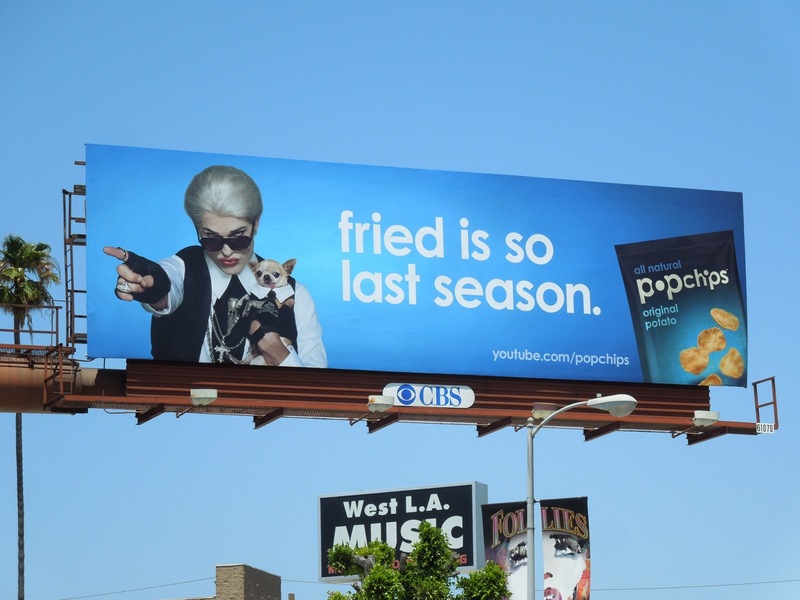 Regardless of the controversy surrounding the absent creative execution, it's still a fun and clever way for a potato snack to stand out and vie for your attention on an already overcrowded supermarket shelf. 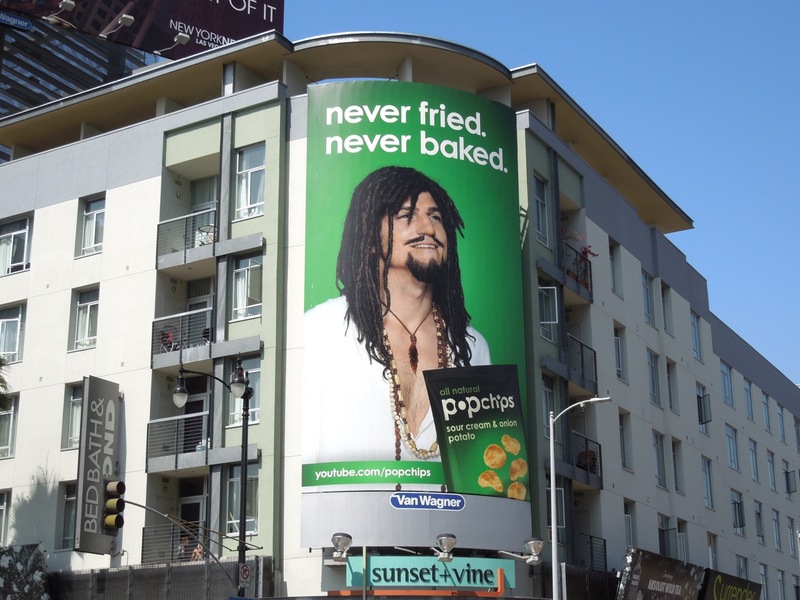 Although if Daily Billboard didn't know that was Ashton Kutcher beneath all the costumes and makeup, it would be hard to tell that he was the stoner hippie 'Nigel', a biker called 'Swordfish' and Karl Lagerfeld-esque diva named 'Darl'. 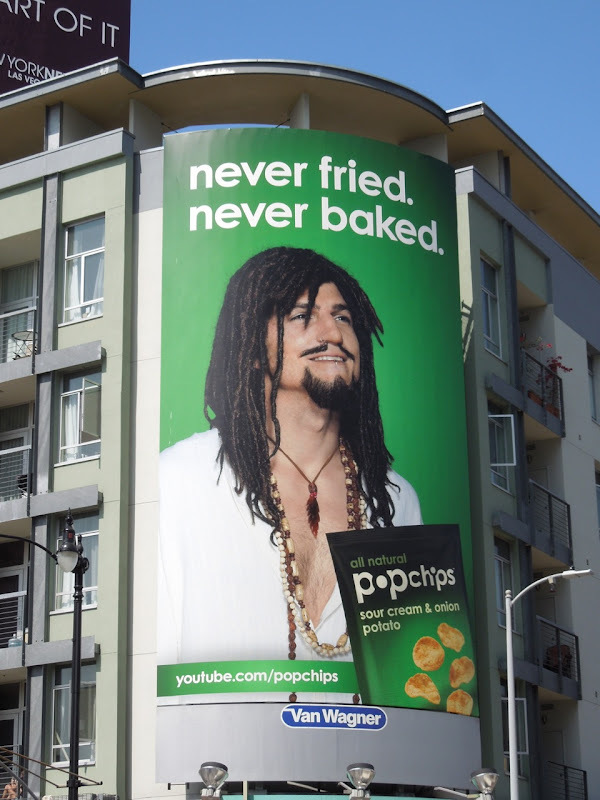 The large green hippie creative was snapped along Vine Street in Hollywood and the landscape version along Santa Monica Boulevard at Westwood Boulevard on June 1, 2012. 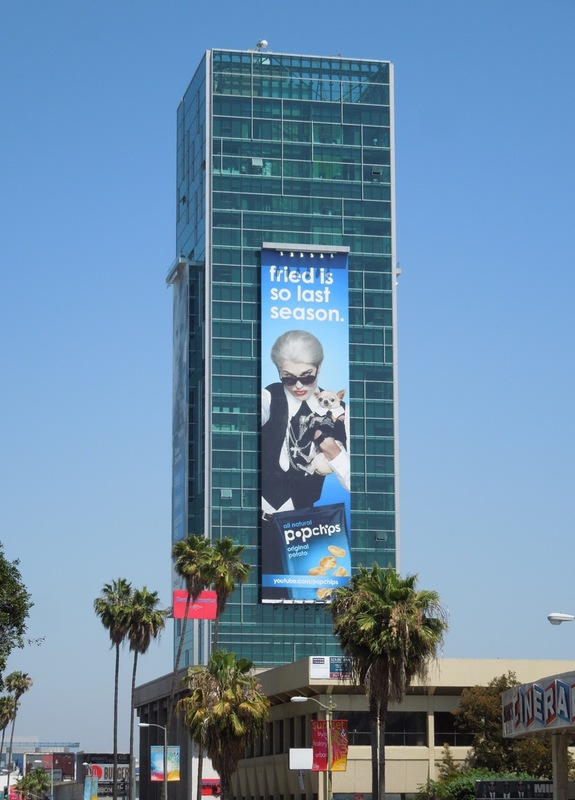 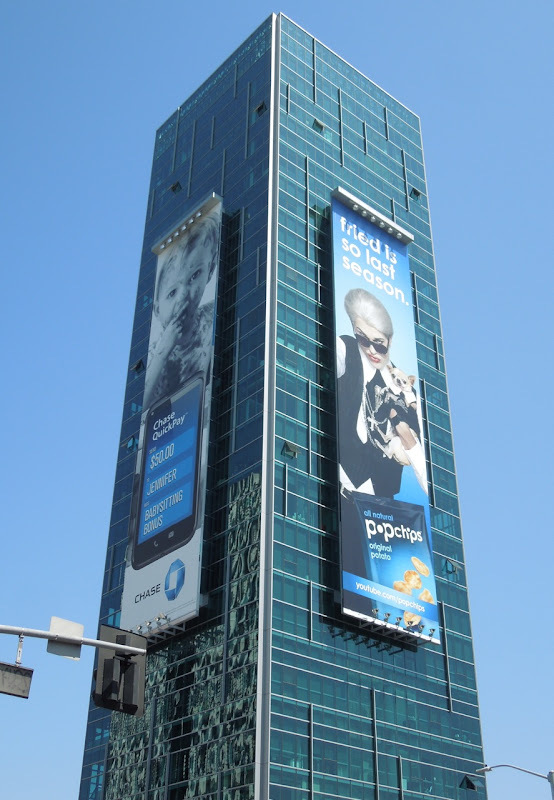 The blue 'Darl' creative was photographed towering over Sunset & Vine the same day, whilst the landscape creative was spotted along Santa Monica Boulevard in West L.A. 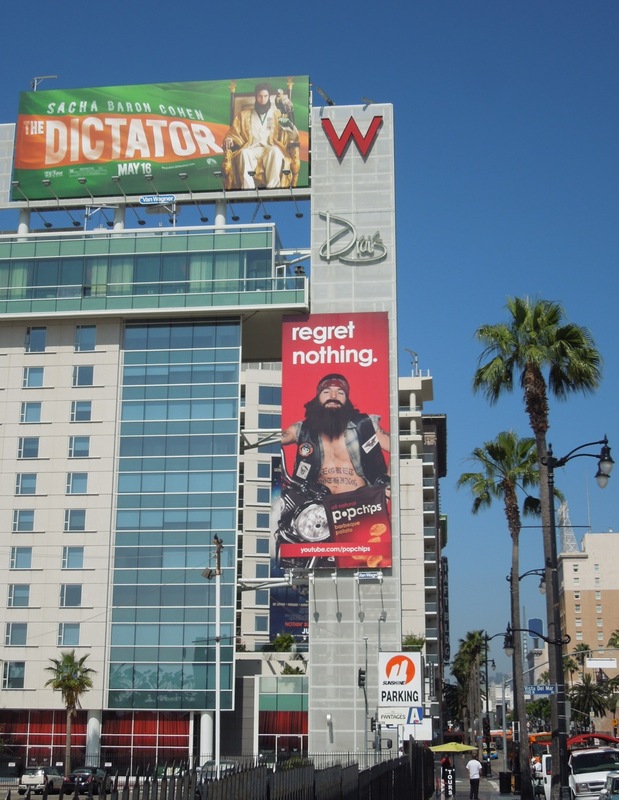 The bold red biker version, which Daily Billboard feels has the most impact and best tagline, was sighted along Hollywood Boulevard on May 26, plus on the side of Hollywood's W Hotel on June 17, 2012. 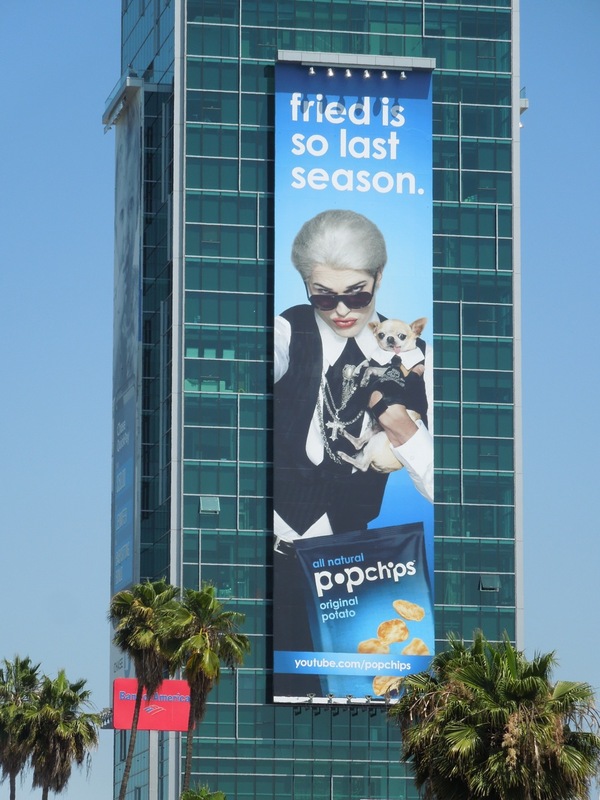 Regardless of the scandal, this is still a colourful and humorous campaign and sure to shift packets of Popchips by the basket load, at least whilst they're in fashion this season.